~Learn how to make your own Customized Paint Deck for around $2. ~Cassie created some Missoni-style DIY Chevron Striped Drinking Glasses. ~DIYers will love the new Roadkill Rescue site, where roadside finds and hand-me-downs are featured after being rehabbed. ~Laura Lynn saved a bundle by making her own DIY Canvas Art. 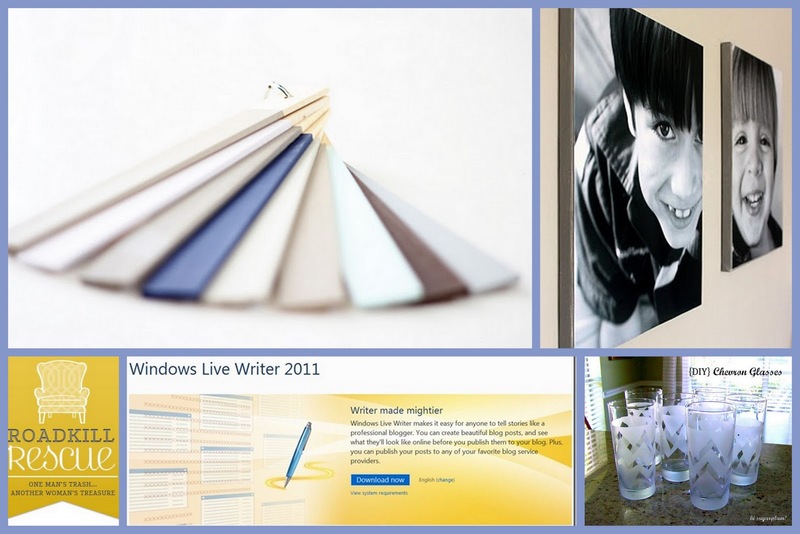 ~Learn How to Use Windows Live Writer for blogging! 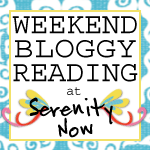 A beautiful and kind write-up about my blog from my friend Beckie at Infarrantly Creative. Your pumpkin patch post was so sweet. The pictures with the horse are beautiful. Thank you so much for organizing and hosting a great par-taaay every week! Those chevron striped glasses are awesome! Thanks so much for hosting Amanda! 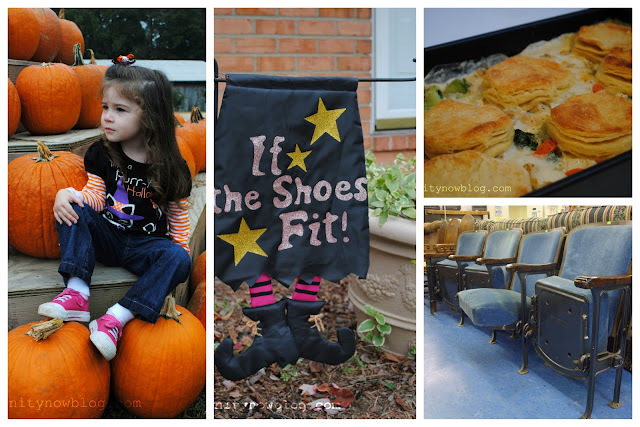 I linked up some homemade costume ideas this week:) Have a great weekend! I loved the write-up Becky did about you ... so sweet! Thanks for hosting the party ... happy Friday! Oh how sweet! I just stopped by and read all the nice things Beckie had to say regarding you and your blog! Take care Amanda and enjoy your weekend! Hi Amanda! I LOVE Roadkill Rescue! Beckie is so sweet, and she is how I found you! I just started using Windows Live Writer and I think I like it...the jury's still out... think I'll check out that post to see if I can work out some o'da bugs! awww super cute! I made similar glasses to the chevron ones forever ago and adooooooore them! [http://www.peasandcrayons.com/2011/02/fun-techniques-for-frosted-glass-spray.html] Cassies are so chic! great feature! Thanks for hosting Amanda, have to check Roadkill Rescue everyone is talking about! I'm digging the drinking glasses! They are so cute! Thank you so much for hosting!! Have a great weekend! Have a wonderful weekend! THanks for hosting. Love the glasses. Thanks for hosting! Hi, I'm heading over to Roadkill to check it out :) I love the old door decor over the bed link up! I have a thing for doors! Thank you for hosting & have a great weekend! Thank you so much for hosting! Congratulations on being featured on Infarrantly Creative! Thanks for hosting Amanda!!! Enjoyed your pumpkin patch pics this week! Thank you for hosting Amanda! I can't wait to check out the live writer post. I use it, but I would love to know more tips and tricks! Have a great weekend! Thanks for hosting the party and for linking me up this morning! I'm really looking forward to Saturday morning coffee and time to click through the links. I love that customized paint deck! 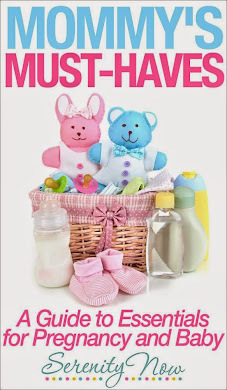 So many fun ideas to check out... Thanks for hosting, Amanda! Thanks for highlighting my project - the "canvas like" photos! Thanks for hosting! I linked up. :) Great projects here! Thanks for hosting! Those canvas art prints are beautiful. Must go check that out now! Have a great weekend! I totally agree with IC!!! I have just recently found your blog. Maybe a month or two ago I stumbled upon it. And I have been amazed by you. The perfect combination of amazing projects and family stories. Plus you take the time to comment and visit little blogs. I know it must take a lot of time, but it really makes a difference. Thank you so much for being such a kind blogging friend. Thanks for hosting! I'm sharing my very last Halloween project of the the year. Bring on Christmas! Thanks for hosting. I am linking my Perpetual Christmas Tree post this week. Will try the Windows Live Writer for my blogs.